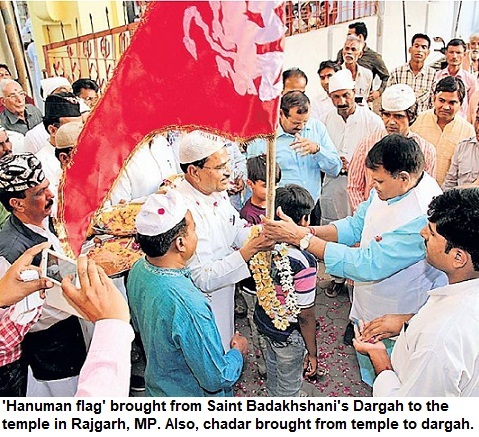 Indscribe's Blog: News and Views about Indian Muslims: How media turned Nitish Kumar from hero to villain within months! How media turned Nitish Kumar from hero to villain within months! 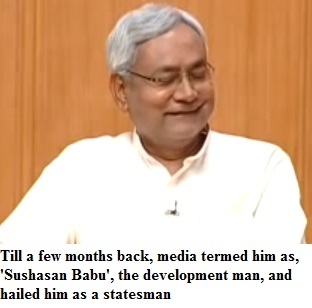 Just refresh your memory and you will recall how Nitish Kumar was the darling of media, till just a few months ago. Whenever there was a mention of the Bihar chief minister, the word 'Sushasan' or 'Good Governance' was used to describe his achievements. It was routinely said that he had brought a turnaround in Bihar, from the era of Lalu Prasad Yadav's 'jungle raj'. After Lalu was ousted from the power by the JDU-BJP combine, Nitish Kumar was seen as a true leader, a man who was changing Bihar. It was said that crime rate had come down in Bihar, development was again visible and the mafia had been brought under control. The backward Bihar was now a progressive state, we were told. Those who don't live in the State, obviously, have no idea about the ground realities, and are dependent on media to understand the 'change'. In fact, there was so much positive news about Bihar, that we even heard how advertisements were being given to newspapers, in order to get good coverage. Negative stories were not being reported at all. If it was happening, it wasn't good either. Remember how Forbesganj firing was totally blacked out from media. Now within the last few months, ever since, he had a fallout with the Bharatiya Janata Party (BJP), Nitish Kumar is no longer the 'Vikas Purush'. All positive coverage has gone away. No longer, we hear the word 'Sushasan Kumar'. In fact, there are reports now that the law-and-order situation is bad. Really! The 63-year-old leader who comes from the JP movement, just like his bete noire RJD's Lalu Yadav, is now miffed with media. In a function, a bitter Nitish Kumar asked the photographer that why was he taking the photographs, when they won't be published them in the newspaper.This is in sharp contrast to the earlier situation when Nitish Kumar got excessive coverage. Now JDU leaders rue that the media no longer gives them coverage as it is in the hands of BJP. In India, media is largely independent, despite the political affiliations of the owners of the media houses. Lot of people outside Bihar wonder how it is happening so fast. What is the true picture? Something is surely amiss here. With Mukesh Ambani's growing stakes in media houses, it is suspected that there is growing influence of owners on journalists. In news rooms, there is a clear order that stories against BJP's future PM wouldn't be telecast. But to say, that Nitish Kumar has been blacked out just because his opposition to Narendra Modi and the JDU's severing ties with BJP in Bihar, is almost unbelievable. Is it that the media has been swept away by the 'Modi wave'? For eight years, he was doing everything right. Even eight months ago, he was doing great. He was looked at as a statesman and was positioned as the future Prime Minister. 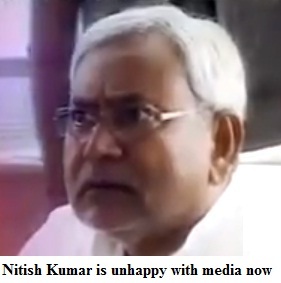 However, it is a fact that Nitish Kumar is no longer a favourite among media men. How this 'hero' to 'zero' transition took place! It is not a great mystery. But the change in coverage does have impact on people who don't belong to Bihar and live outside the state. Without firsthand experience or information about whether things are improving or they have worsened, they are at loss to understand such a transformation in media views. What's the reality. And the mystery behind the change in image! Just a few more months and we will know.